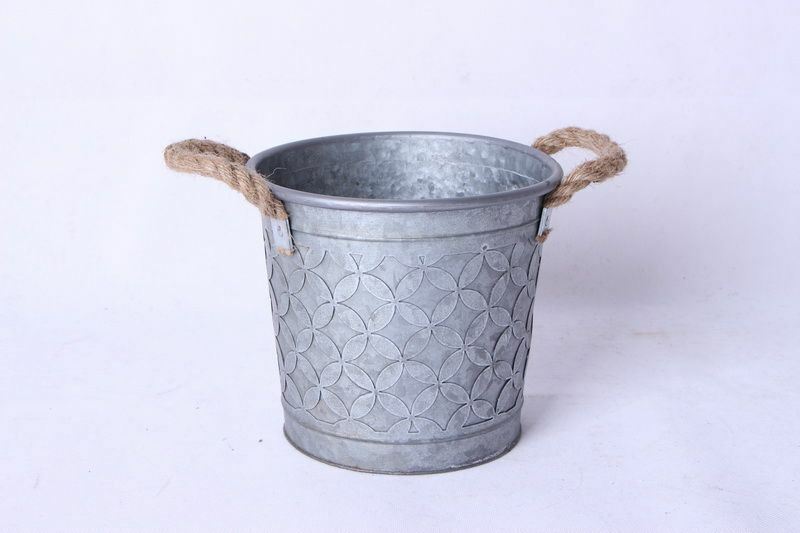 Add a touch of vintage charm to your home with the Small Metal Bucket with Rope Handles by Cambridge Home. This metal bucket features a geometric pattern that highlights the characteristic spangled appearance of galvanized metal. Two rope handles complete the look. Add a touch of vintage charm to your home with the Small Metal Bucket with Rope Handles by Cambridge Home. Small Metal Bucket with Rope Handles by Cambridge Home.